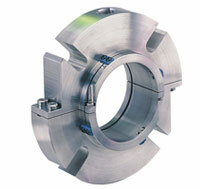 Curtiss-Wright is a distributor for Flex-A-Seal's full line of premium mechanical seals. Flex-A-Seal's sealing products feature ANSI and DIN mechanical cartridge seals, component seals, high pressure, high temperature designs, and sealing accessories. Flex-A-Seal mechanical seals are engineered solutions that deliver unprecedented sealing reliability for difficult applications and equipment. From the innovative Style 85 Split Cartridge Mechanical Seal to the Style 79 Dual Cartridge Seal, Flex-A-Seal offers a comprehensive range of sealing products for a variety of conditions and applications.